New York: The Palestinian representative at the United Nations has presented copies of letters of accession to the International Criminal Court (ICC) and said Palestine would be pressing legal cases against Israel, including retroactively. 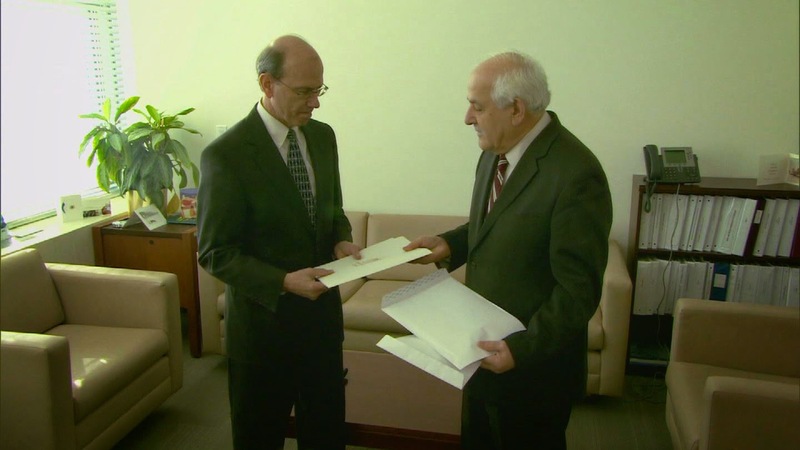 The original letters off accession to the ICC and to some dozen other international agreements were delivered to Thursday to Deputy Special Coordinator for the Middle East Peace Process, James W. Rawley, in Ramallah. The Palestinian representative, Riyad H. Mansour, told reporters, "This is a very significant step in which we will be going through to seek justice through a legal option. It is a peaceful option. It is a civilized option. It is an option that anyone who upholds the law should not be afraid of. And it is an option that we are seeking in order to seek justice for all the victims that have been killed by Israel, the occupying power; the last group of them, the more than five hundred children in Gaza last summer. More than three thousand children injured, and thousands more of civilians killed and injured." He also said he would press Israel on the settlements. "Of course we all know that according to the Rome statute, settlement is a war crime and therefore you know we will be seeking justice through this stipulation in the Rome statute." The Rome Statute is the treaty that established the International Criminal Court in 1998. Mansour said Palestine would bring other cases as well, and other Palestinian diplomats in the ICC headquarters in The Hague, had already begun requesting the right of retroactivity to pursue claims from last summer's war. Asked about published reports that U.S. politicians would call for funding restrictions if Palestine joined the ICC, he said,"It is really puzzling when you seek justice through a legal approach to be punished for doing so. And what we are doing is what the western countries including the United States and Europeans ask to go to legal options including the ICC to go after those who commit crimes against humanity and war crimes. Why when it comes to Palestinian people and when it comes to Israel that Israel should be excluded. That does not makes sense."